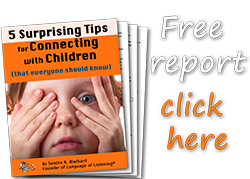 Licensed Language of Listening® Coach, Lauren Tamm, outlines seven things you might be missing if you are trying to stop a temper tantrum. Reprinted from her blog with permission. My daughter’s had a heck of a week when it comes to temper tantrums. It all culminated into one massive meltdown last night, when she was so inconsolable that she cried herself to sleep, stark-naked. But before I share how and why that particular meltdown happened, there’s something more I should explain about this week. My daughter had Fifth’s Disease, which is a virus that happens mostly in younger kids. When you have the virus, you experience flu-like symptoms for upwards of two weeks. And for a portion of the time, you have a rash to your cheeks, torso, arms and upper legs. For my daughter, who already struggles with big emotions, Fifth’s Disease intensified all her emotions into deep, thunderous storms. Possibly because her skin felt like it was on fire. Or possibly because her whole body hurt. And sometimes because she needs a good ugly cry over the banana being cut the wrong way. One of the biggest things I thought about this week was my work with The Language of Listening® Framework. Without all the valuable tips and insights that I gained from this genius three-part model, I would’ve missed so many things when trying to stop a temper tantrum. When she persisted with tantrum after tantrum, my husband and I stayed patient. And not because we are abundantly overflowing with patience. We stayed patient because below the surface of her behavior, we understood what was REALLY happening. This has changed our lives. The three-part Language of Listening model drastically changed how we respond to temper tantrums, and most importantly, educated us on how to avoid making it worse. Trying to stop a temper tantrum. In working with thousands of parents over the past four years, I know tantrums are at the heart of parenting struggles in the younger years. Listening to illogical screaming and incessant whining can grind at the most patient person’s nerves. Increase the duration of the tantrum. Overall there are seven core ideas about temper tantrums that are misunderstood or missed altogether. And it’s NOT because I was intentionally wanting or trying to make it worse (No sane person would do that!). It’s because I didn’t understand what is REALLY happening. 1. Validating what the child wants. When a child starts a tantrum, immediately responding with a statement like, “You wanted…” can shift the entire dynamic in a matter of seconds. Validating what a child wants when they can’t have it may feel counterintuitive, but it’s VERY IMPORTANT. When you tell a child ‘no’ about something, and you repeat your boundary again and again or tell them to stop crying, without validating what the child wants FIRST, it can back fire. The child will have no choice but to escalate their communication back up to the level of upset or tantrum to prove they are right to want it. If you’re able to match the child’s emotional intensity, he or she will feel understood, knowing you’re authentic in what you say. The child can then shift into problem-solving mode and he or she will begin to open up to your guidance. It’s only once kids feel heard and understood that they can hear your guidance. 2. Screaming meets a need for power. All kids have three basic needs: Power, experience and connection. When kids feel powerless to get what they want, they will turn to the easiest way they can think of to meet their need for power. For younger kids, an easy way to meet the need for power is typically…screaming (or angry crying). Adults and older kids, who understand that they have self-control, will turn towards other healthier ways to meet the need for power. If you think about it, screaming (or angry crying) is a brilliant method that younger kids use to meet the need for power. For sure, it’s annoying for everyone to listen to, but it’s also very purposeful and effective. When I remember that, it's easier for me to simply help her find another way to meet her need for power and watch as she calms herself down. The most valuable part about Language of Listening is the framework teaches you how to empower your child to calm themselves down, rather than leaving parents to fill the exhausting role of managing the child’s emotions and needing to calm them down. 3. Tantrums help kids practice regaining self-control. Through practice of calming themselves down and working through a tantrum, kids learn self-control. During a tantrum, kids are trapped inside their emotional brain. Logic and reasoning is essentially a locked off part of the brain. In order to gain self-control, children must practice this important life skill. If we view tantrums as this horrible thing that must be avoided, we are doing children a huge disservice. Tantrums are a pivotal part of healthy child development. Some children will have more than others, but ALL will experience them. 4. Empowering kids to calm themselves down. Kids need and crave connection in these moments of emotional disarray; however, it’s not the parents job to stop the temper tantrum or calm the child down. How to offer a CAN DO using wants and wishes. How to offer a CAN DO for an angry or aggressive child. How to offer a CAN DO when your child whines or complains. Helping a child SEE that they have self-control is crucial. 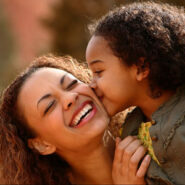 Naming a STRENGTH helps the child identify with that behavior and their future actions are based out of it. 5. Trying to control kids can intensify emotions. Similar to what I mentioned above, when kids are experiencing a tantrum, they feel powerless to get what they want. Trying to control kids only intensifies their need for power. You’ll see this happen when you try to put a tantruming child into the corner and he won’t go. He’ll continue coming out over and over again. The more you try to control the child, the more he defies your guidance. You’ll also see this when you tell a child to “Stop crying!” and they scream louder trying to meet their increased need for power. Connecting first using a simple statement like, “You wanted…” will help the child feel heard and understood. (This is the SAY WHAT YOU SEE® part of Language of Listening.) And from there the child will open up to your guidance and you can offer a CAN DO—an alternative action or behavior that the child can do instead. 6. Diving into logical reasoning. The logical part of a young child’s brain is shaky at best, and during a tantrum, it’s absolutely non-existent. What kids most commonly understand is a black and white rule or boundary that you established. Diving into logical reasoning only reminds they child that they cannot have what they want, and intensifies the need for power. Claiming your boundary and avoiding reasons can help shift the child into problem-solving or something they CAN DO instead. 7. Understanding the contradictory push-pull of emotions. During a tantrum, you’ll often see a toddler try to push you away or scream, “Go away!” (meeting the need for power) and then minutes later collapse into your lap for a hug (meeting the need for connection). And then seconds later, start to push you again (still wanting to meet the need for power). Broken down into the simplest terms, this is the child brilliantly attempting to meet both the need for power and connection in one fail swoop. If you’re able to see the child’s actions at face value—a child who needs help and guidance rather than a child who is talking back or aggressive—this can change everything. Connect first through validation and using SAY WHAT YOU SEE, then help the child discover an alternative way to meet their need for power. My daughter fell into a massive meltdown, crying herself to sleep, stark-naked. About thirty minutes earlier I was giving her a bath, and as I started to wash her hair, she turned ferociously angry. This all seemed to come out of nowhere, but what likely happened was a culmination of emotional and sensory overload throughout the day that led her brain to “flip its lid” or start to shut down. There’s a distinct difference between tantrums and meltdowns. Despite using all sorts of ideas to help my daughter calm down in the bath tub, she only got worse. In the past, I would’ve lost my patience. Knowing what was REALLY happening underneath her behavior, I reacted calmly. I gently laid her down, rinsed her hair and got her out of the tub—all while she was kicking me and wailing into my ear. When kids are in meltdown mode, there is absolutely no point of doing anything except offering support and comfort in the moment. The child’s brain is trapped in emotion and cannot understand anything you’re saying. Punishing the child for their behavior during this time is not a helpful lesson, nor one that the child remembers. Whether your child is struggling with a tantrum or a meltdown, the most teachable moments can come after the child is calm. Naming STRENGTHs is a crucial piece of the puzzle. For example, “You found a way to calm down! That shows self-control.” STRENGTHs help kids see how capable they really are, and their future actions are based out of it. Now that’s an empowering shift! 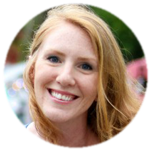 Lauren Tamm is a licensed Language of Listening® parent coach and the author of The Military Wife and Mom blog where she writes on practical parenting, enjoying motherhood, and thriving through the ups and downs of military life. Connect with her on Facebook or Pinterest. My name is Seema Omar and I live in Srilanka and I am a big fan of Sandy Blackard and I love language of listening and I loved this article. Lovely to hear from you, Seema! Lauren’s post really brings the point home that understanding your child is the key to patience, even in the face of a tantrum.